Kihrin grew up on tales of long-lost princes and grand quests - despite being raised in a brothel, making money as a musician and street thief. One day he overreaches by targeting an absent noble's mansion, hunting for jewels. There he witnesses a prince performing a terrifying dark-magic ritual. Kihrin flees but he's marked by a demon and his life will never be the same again. That night also leads to him being claimed as a lost son of that prince's royal house. But far from living the dream, Kihrin finds himself practically a prisoner, at the mercy of his new family's power plays and ambitions. He must also discover why his murderous father finds Kihrin more valuable alive than dead. Soon Kihrin attempts to escape his relative's dangerous schemes, but finds himself in far deeper waters. He becomes tangled in a plot to kill the Emperor, rob the Imperial Vaults, claim a god-slaying sword and free bound demons to wreak havoc across the land. Kihrin also discovers the old tales lied about many things: dragons, demons, gods, prophecies, true love - and the hero always winning. But maybe Kihrin isn't fated to save the empire. He's destined to destroy it. 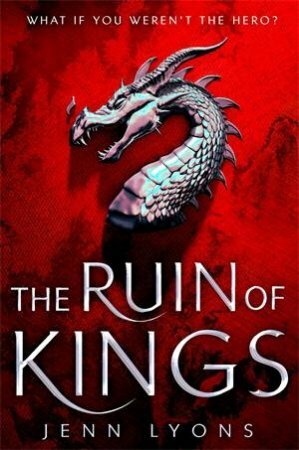 The Ruin of Kings is the first book in Jenn Lyons's epic new series.